As your tiny tot grows, their diet changes from milk and liquids to semi-solids like cereal, vegetable mixes, mashed fruits etc. 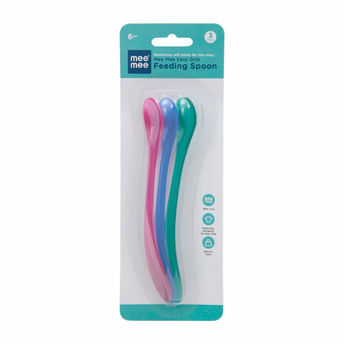 Mee Mee's Baby Feeding Spoon allows you to feed these to your baby in the right proportions and with ease. It also becomes easy for your baby to get used to his new diet, making your job of feeding them a lot simpler.